Below is my latest newsletter, sent to my mailing via electronic mail. Apologies to regular visitors for any repetition of previous posts. I hope this finds you well. Below is some information about some recent writing projects. The Green Cathedral is a phrase and theme that some readers may recognise runs throughout all my novels. I’ve attempted to explain and explore it further in this short photographic essay for Dark Mountain. The Museum Of Extinct Animals is a new short story. Actually, I wrote it almost exactly ten years ago. London was being bombed. The city was constricting. It has now been published by Some Such Stories. Resonators is a photographic book by my pal Scarlet Page. It features a wealth of legendary noise-makers. Johnny Marr, Nile Rodgers, Slash, Mick Jones, Noel Gallagher. That lot. I’ve written the words for it. It began life as part of Teenage Cancer Trust and there’s a short film about the project on Kickstarter. Heathcliff Adrift, a poetry book and photographic exhibition at The Bronte Parsonage has now closed. Thank you to everyone who attended. We are looking for future venues to host it. Books available. 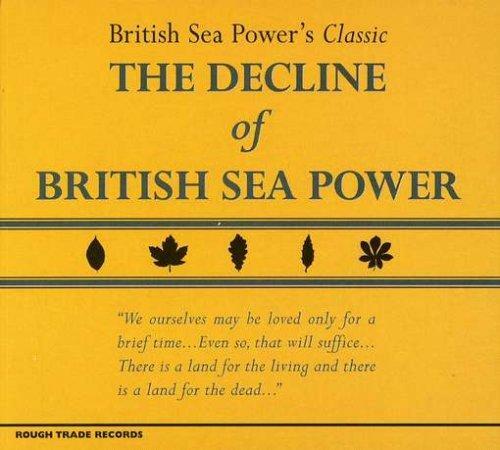 The Decline Of British Sea Power is a wonderful 2003 LP of rock music about fauna, kelp and war memorials. It has been re-issued in lavish packaging, to which I have contributed a few sentences. You can buy it here. Please do enjoy the rest of this tumultuous summer.